GOA: The quaint villages of Goa are dotted with pottery studios and amateur art dens. 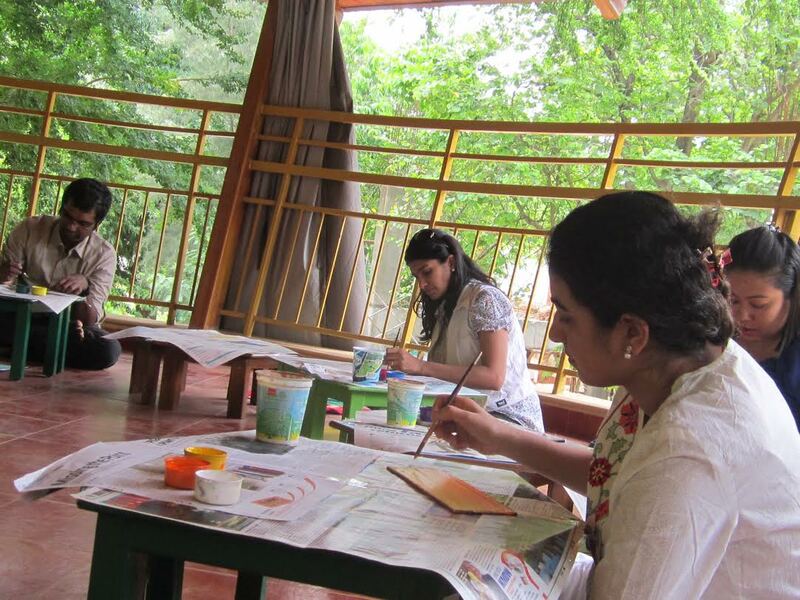 One place that has been drawing the creative bunch is Art Escape, near Benaulim beach. The eco retreat offers a wild mix of classes on art & sculpture, yoga, recycling and waste management, design and innovation, photography and film curating. The best part is that you can simply be a walk-in guest here. HIMACHAL: Andretta in Himachal is a must-stopover for potters from around the globe for many years now. A famous institution founded by a lady called Norah Richards and now run by her artist friends Mansimran Singh and his wife Mary, Andretta artist colony offers long-term residential pottery courses for students from all over the world. RAJASTHAN: There is art in every nook and cranny, on every wall, dome and door of Rajasthan. Catherine Parker’s ‘Drawn to India’ art tours in Rajasthan are a complex tapestry of religion, music, rituals, festivals and ancient art making practices. Participants on her tours get to visit the rug weavers, potters and painters of Jodhpur and the woodblock makers of Bagru outside Jaipur and learn their traditional techniques. 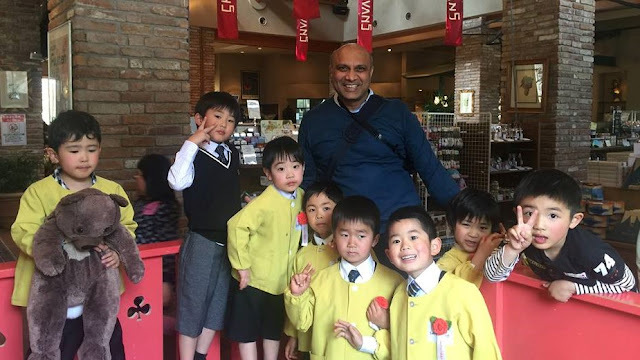 She also conducts art classes in old forts of Rajasthan which are all about using natural pigments, mixed media materials, and found objects to create collages. Similarly, ArtInn Jaipur offers art workshops in miniature paintings, handmade paper, wooden toys, textiles and blue pottery. AUROVILLE: Auroville is the perfect hub for art therapy with its cross-culture milieu buzzing with people from over 45 different countries. 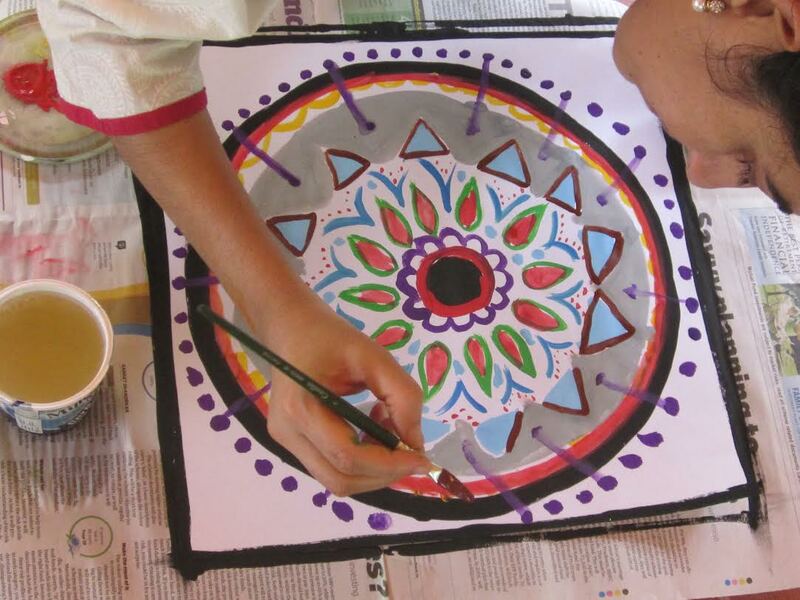 At The Art Therapy Retreat in Auroville, therapist Tia Pleiman uses art to provide participants with ‘a voice which may not have existed, as well as to build confidence, self-esteem and a sense of cultural identity’. Her retreat encourages self-exploration and self-discovery!